Before the rise of anime in the West, using Japanese titles for your game’s title was considered marketing death for some reason. 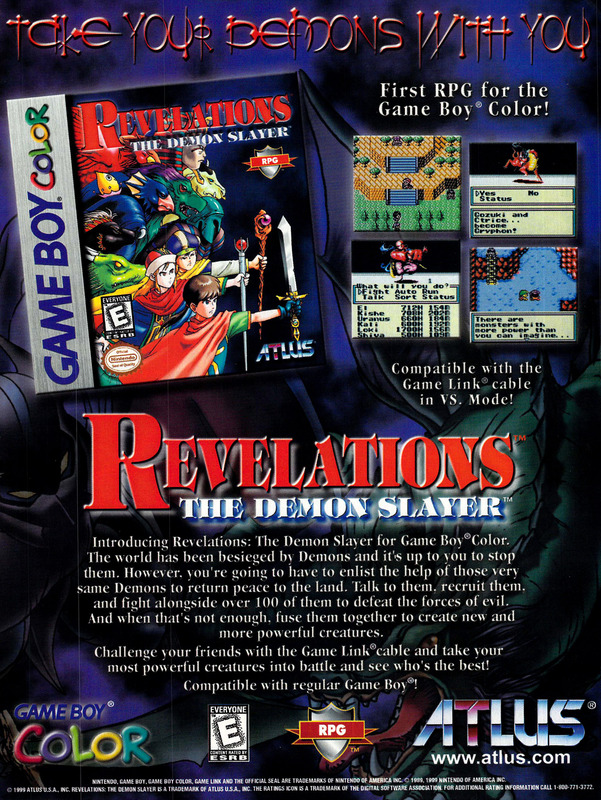 So while we have Shin Megami Tensei over here now, the first titles in the series to be released outside of Japan did not carry that title – they were named Revelations instead. Revelations: The Demon Slayer (originally entitled Megami Tensei Gaiden: Last Bible) is one of many side stories in the series.